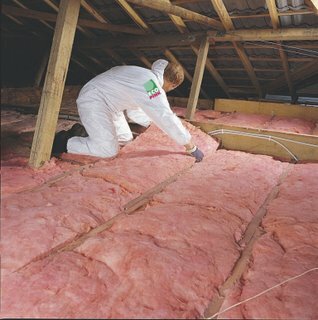 Insulation plays a major factor in the reduction of energy costs and helps to insure a comfortable home temperature. 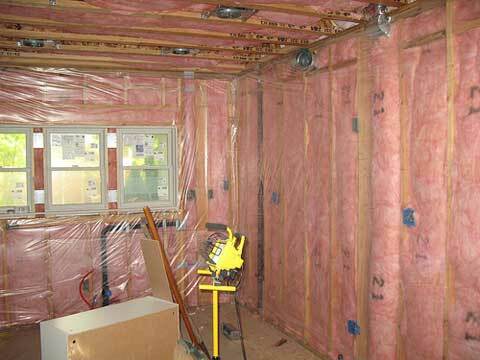 Efficiency of insulating materials is measured and rated by an R-value. 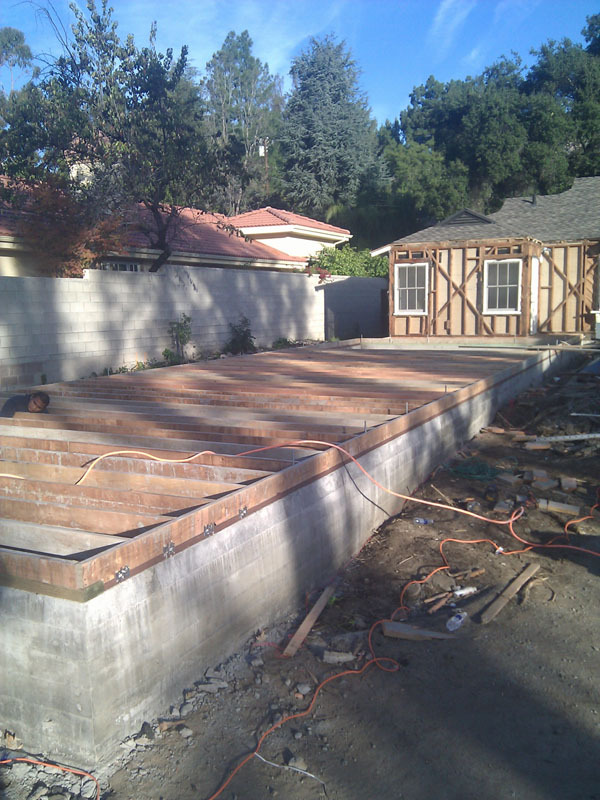 Different R-valued insulation materials are designated for every section of the house: For mild climates (Southern California), R-13 is used in the exterior walls, R-19 in floors (raised foundation), and R-30 is used in ceilings and between floors. 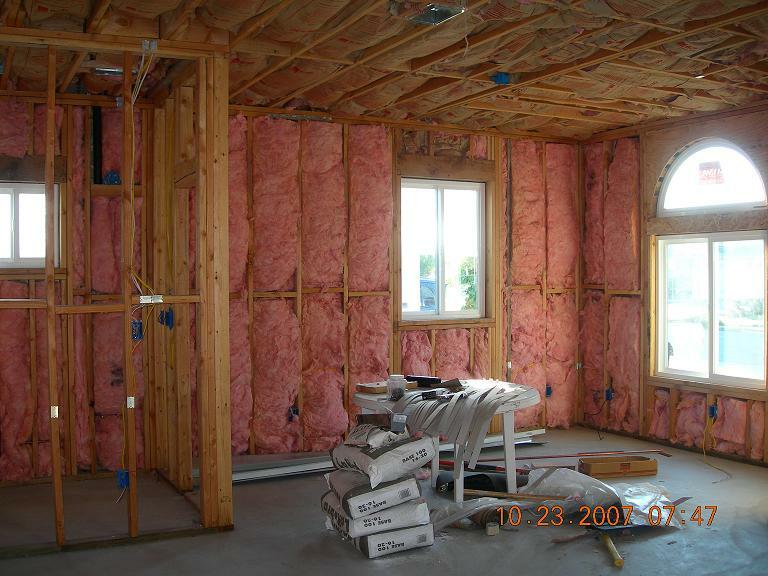 Insulation should be installed inside any barrier that’s located between heated and unheated spaces, but can often be used as a sound barrier when installed in interior walls. 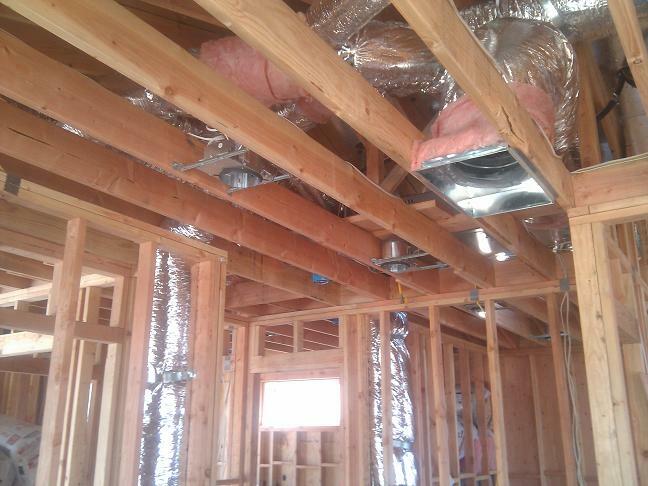 Heating and cooling system ducts, used to distribute conditioned air throughout the house, are a major part of the insulation process. 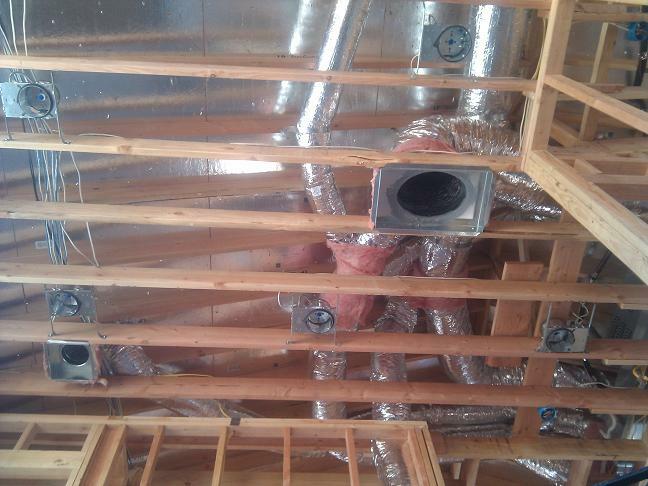 In a typical house, about 20 percent of the air that moves through the duct system is lost due to leaks and poorly sealed connections. The result is higher utility bills and difficulty in keeping the house comfortable (no matter how the thermostat is set). All ducts in the house need to be tested, even the ones that are concealed in walls and between floors (pressure test), and all leaking or dated ducts should be replaced. Additionally, if you are replacing your forced-air heating and cooling equipment, it is highly recommended to install a new system according to ENERGY STAR quality installation guidelines. 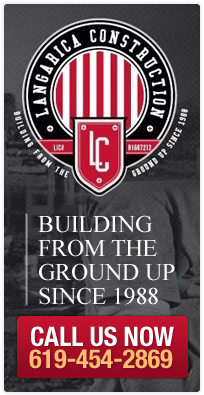 A quality installation will include a thorough inspection of your duct system, including proper sealing and balancing of ductwork, to help ensure that your new system delivers the most comfort and efficiency. 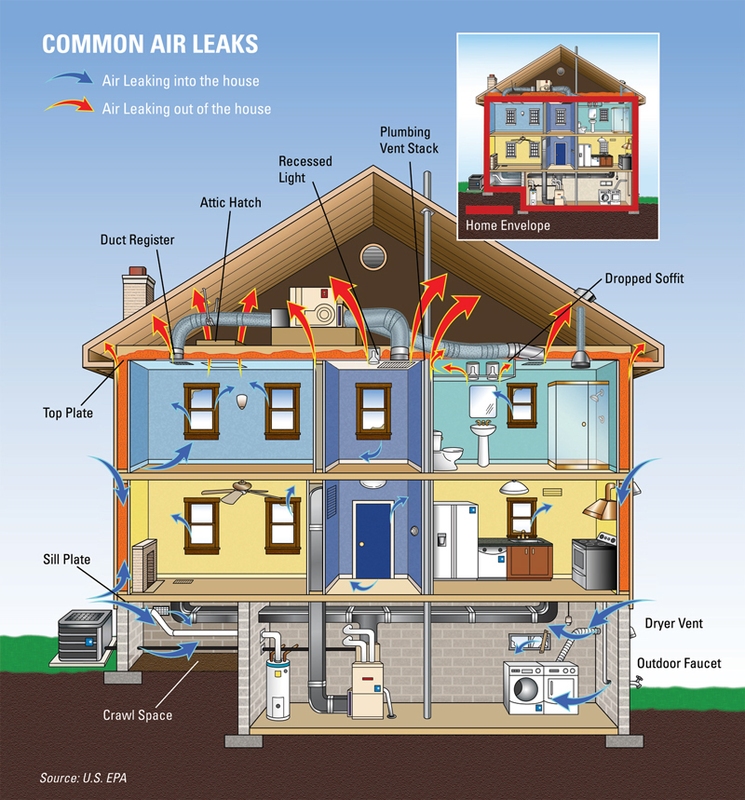 Air leaks and drafts are easy to find because they are easy to feel (like those around windows and doors). But holes hidden in attics, basements, and crawlspaces are usually bigger problems. Sealing these leaks with caulk, spray foam, or weather stripping will have a great impact on improving your comfort and reducing utility bills. 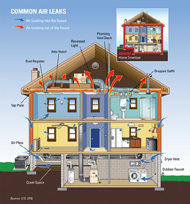 Click on the house diagram to see common air leak locations that you should aim to seal. 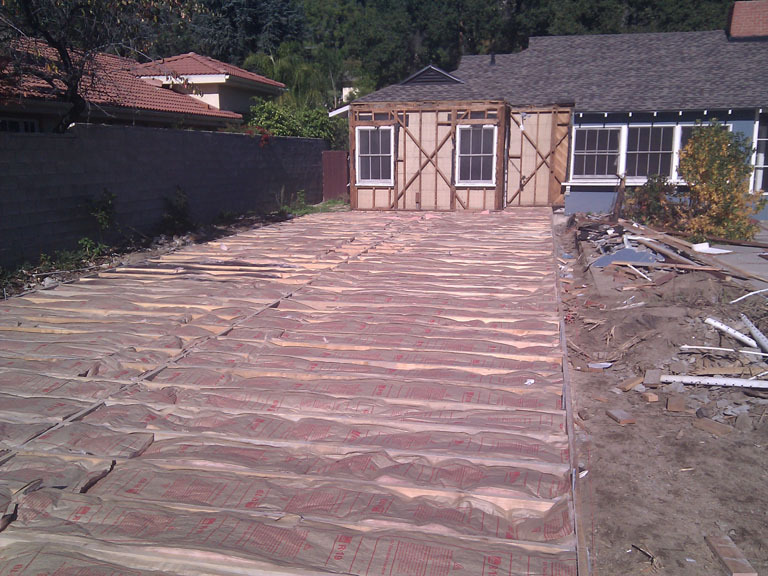 Besides saving money on your energy bills and having a more comfortable home, proper insulation also makes a significant contribution toward helping the environment. A well-insulated home means less natural gas burned, less coal combusted, less uranium used, and as much as 2,000 pounds less emissions released into our environment each year! 1. Federal tax credits (check with your tax adviser for more information). 2. Financing for energy-efficient upgrades: You can qualify for $2,500 to $20,000 to purchase and install energy-efficient upgrades with the home energy upgrade financing program. 3. Apply for mail-in rebates.